As a natural brunette, I am quite familiar with the struggle of wanting so badly to try a trendy new hair color but knowing I'll have to bleach the living daylights out of my hair to get it. And lightening it at home? A recipe for disaster. Until now, that is. 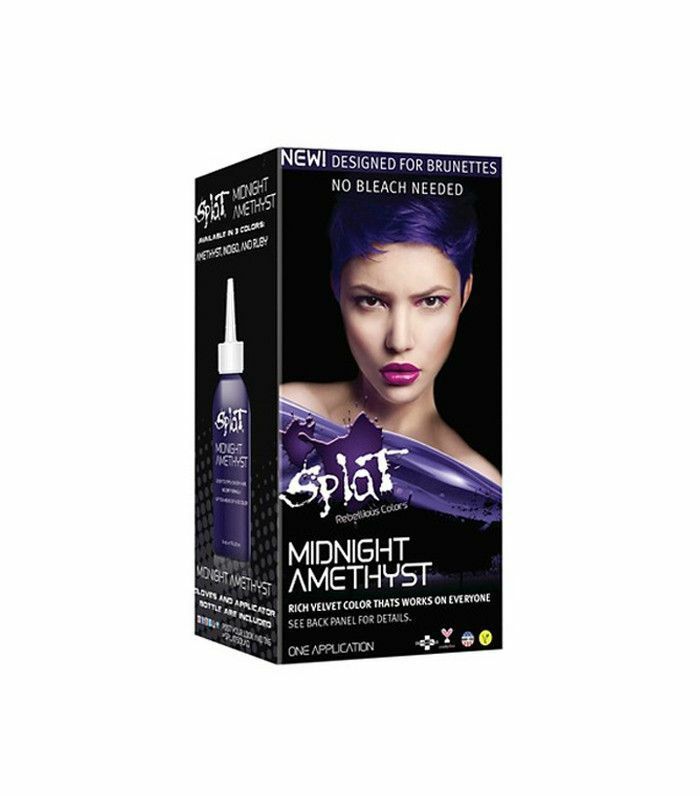 This week, affordable hair color brand Splat released its Midnight Hair Color collection (now available exclusively at Target) that allows you to color dark hair without any bleach. Just in time for fall, the line includes three fun, jewel-toned shades, including Midnight Amethyst, Midnight Ruby, and Midnight Indigo, each of which costs just $9. While typical hair color requires peroxide and long stretches of waiting time to lift dark pigment from the hair, this dye is different. According to a report from Yahoo Beauty, the vegan formula makes bleach-free color possible with the help of finely-milled micropigments that adhere to each strand of hair, resulting in high-impact color. 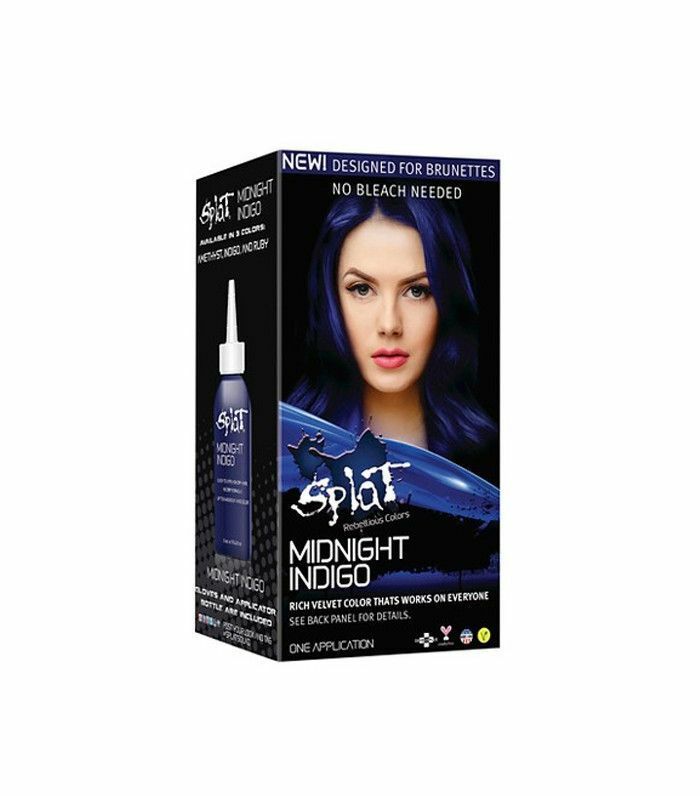 Unlike bleach, Splat is gentle on your strands and takes effect in just 45 minutes, leaving your hair a stunning blue, purple, or cherry-red hue that lasts for up to eight weeks. 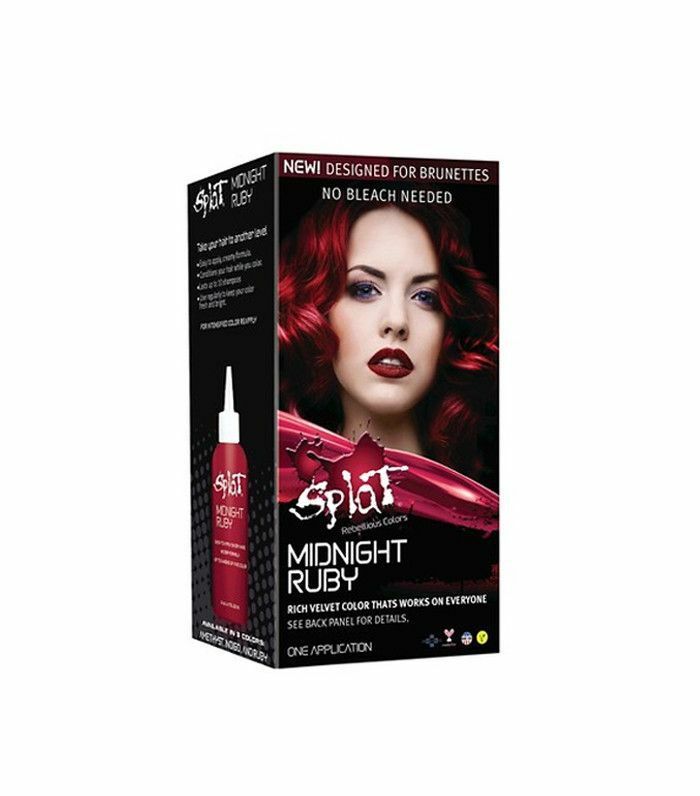 Shop the new Splat hair colors below! 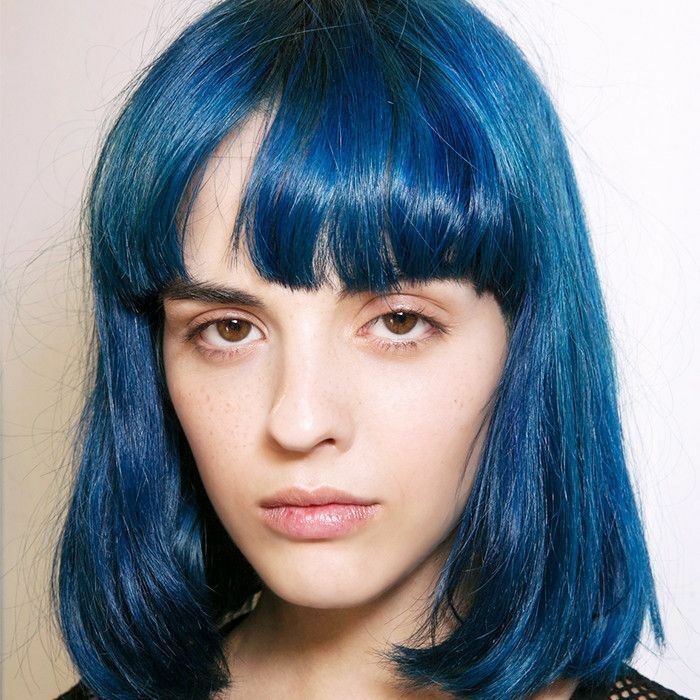 This navy-blue color would look gorgeous on cool-toned complexions. The great thing about a deep purple hair color is that it looks just as good faded as it does freshly colored. Next up, don't miss the celeb-approved fall hair color guide for brunettes.